Hokah band - Joe Von Arx front right end with the trumpet. 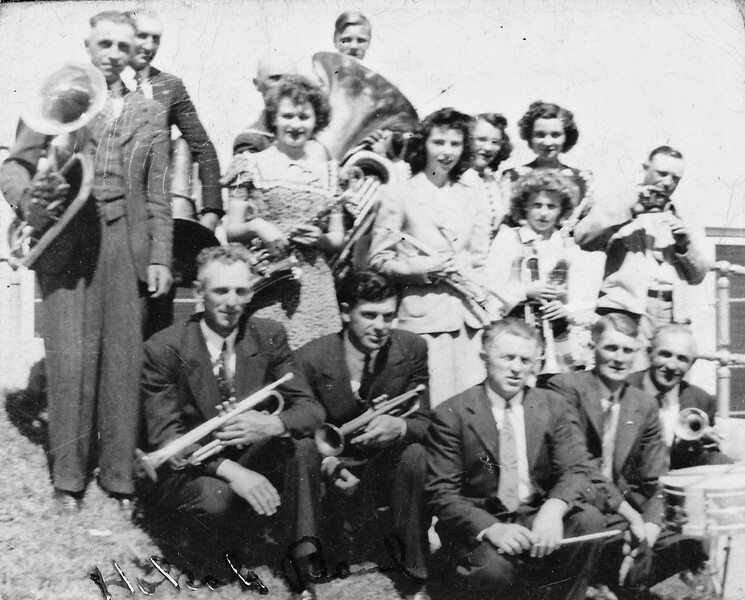 - Irene Von Arx - 3rd row back, second from right, Rudy Langen, 2nd from left in front with cornet (looks short so I don't think it was a trumpet). Rudy Langen second from left in front?